Kanye West & Kim Kardashian Digging a Lake! We'll Show You, Drake! Kanye West is stepping up his pool game so much ... he's building a freakin' lake! TMZ has learned Kanye and Kim Kardashian said screw it, and tore up a perfectly fine pool that used to sit in their backyard -- and will upgrade to a body of hot ice that's more like a small lake, or at least a really big pond. We're told man-made Lake Kimye will be fully filtered upon completion and at least 5 times the size of any other backyard oasis in the Hidden Hills neighborhood. 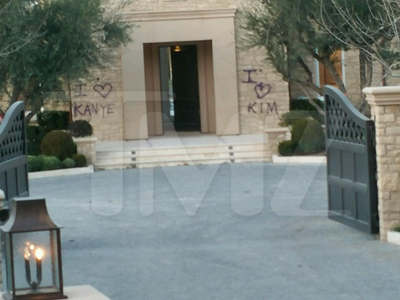 It's part of the sweeping changes Kim and 'Ye are making to the estate they purchased in 2014. Two things come to mind -- 1. Time for a remix, Drake, and 2. So much for being broke, Yeezy!